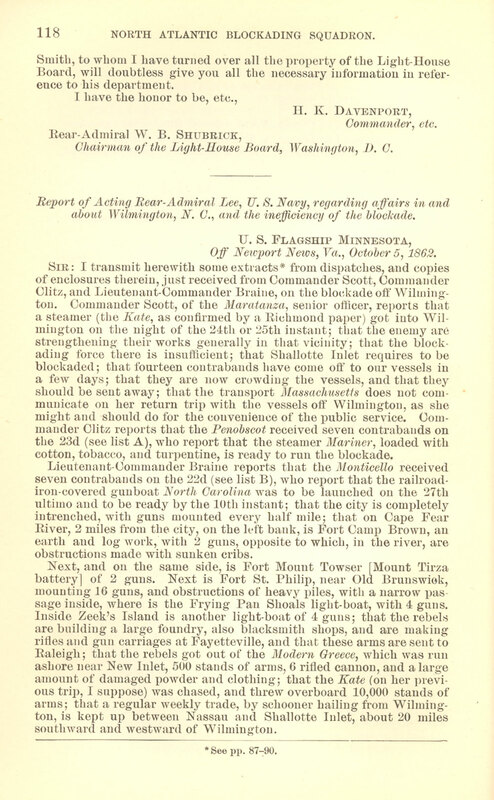 The report discusses naval actions near Wilmington, North Carolina, including reports of contraband, blockade activities, a yellow fever outbreak, fortifications along the coast, the construction of a Confederate ironclad, and arms manufacturing near Fayetteville. 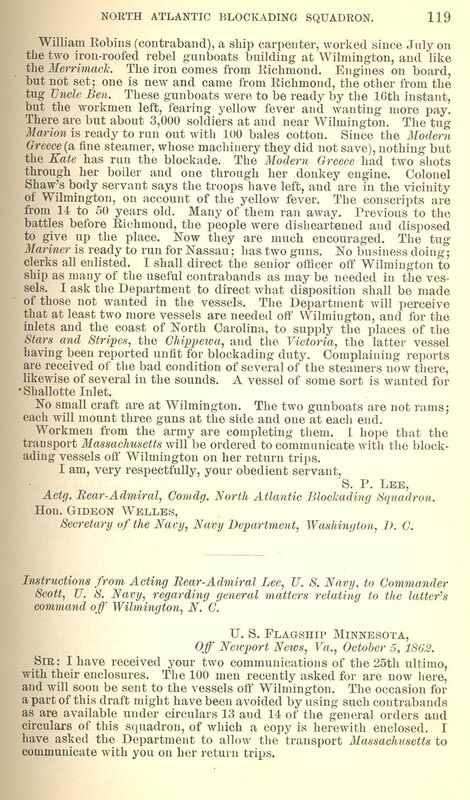 This entry was posted in North Carolina Collection and tagged blockade, blockade running, Cape Fear River, coastal areas, coastal defenses, conscription, contrabands, disease, Fayetteville, Fayetteville Arsenal, ironclads, naval, naval operations, North Carolina, U.S.S. Minnesota, United States Navy, Wilmington, yellow fever. Bookmark the permalink.